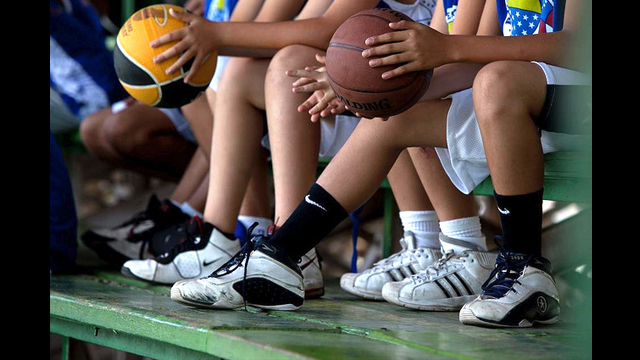 Sneakers are a must for the intensive basketball clinics. WNBA star Nykesha Sales speaks at the welcome panel discussion on the positive power of sports. Chris Clunie, Senior Coordinator for the NBA's International Basketball Operations, leads warm-up with the young Venezuelans. A Venezuelan boy demonstrates the determination and effort required to make progress in sports. 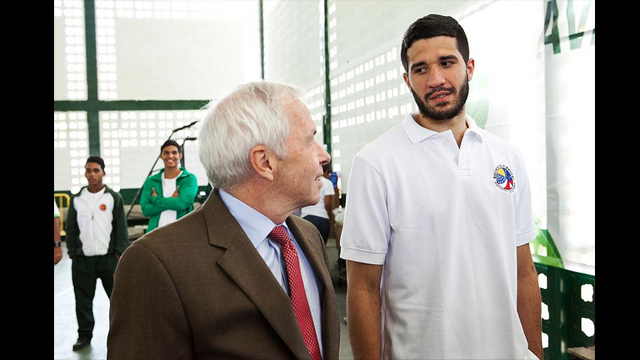 After the opening event, Charges d'Affaires, James Derham, converses with Venezuelan national sports hero, Greivis Vasquez. Dribble time with Greivis Vasquez. 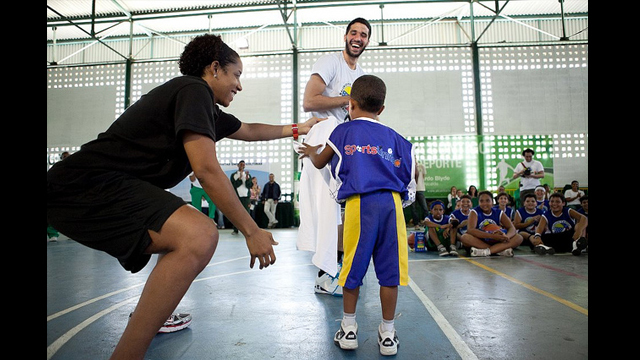 Nykesha Sales and Greivis Vasquez encourage a young clinic participant to come to the center court. 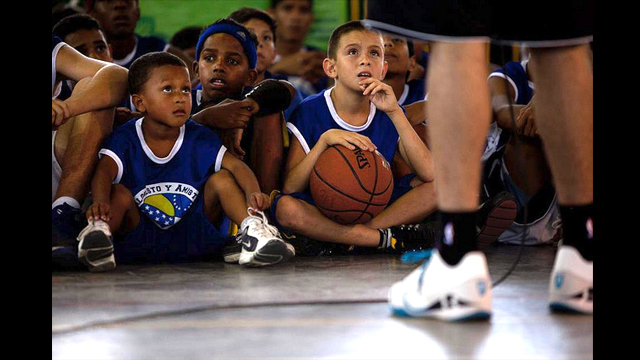 Young Venezuelans listen intently as Greivis Vasquez describes the determination and hard work that go into becoming a better player. 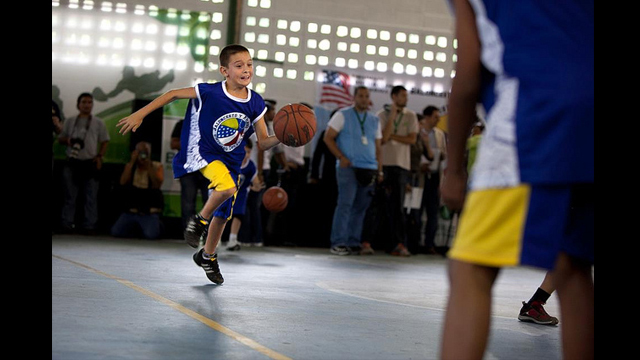 A young Venezuelan boy slam dunks with the help of Greivis Vasquez. The basketball clinics start with fast-paced warm-up drills. 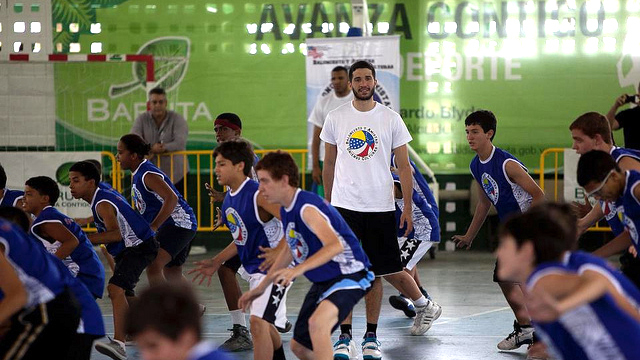 Not only does Greivis Vasquez provide a group of young Venezuelans with tips on basketball, he encourages them to put energy into academics. 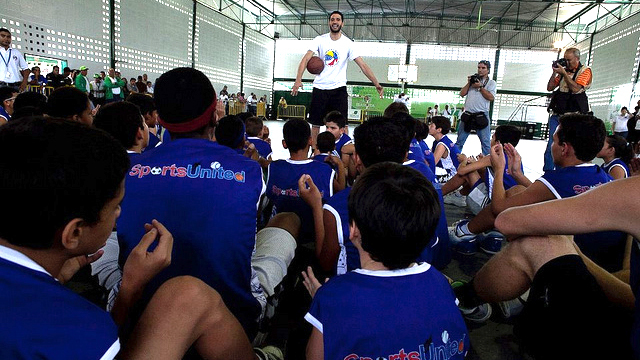 Greivis Vasquez tells the clinic participants to sweat it out. Teenage fans line up for Greivis Vasquez's autograph after a basketball session. 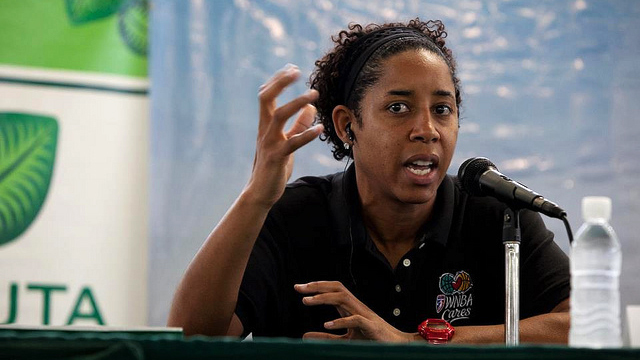 The U.S. State Department and the NBA teamed up to send Nykesha Sales, a six-time WNBA All-Star, to Venezuela. Sales joined Greivis Vasquez, a Venezuelan-born player with NBA's New Orleans Hornets, to participate in this U.S. government exchange program. 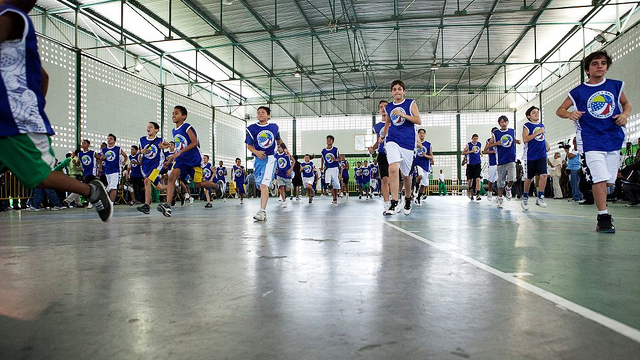 In the course of four days, the experience successfully brought people together and increased greater understanding and friendship through basketball. Photos by the U.S. Embassy in Caracas.